The name “STINSON” is familiar in the Wyong area, if only because of Stinson’s Lane. 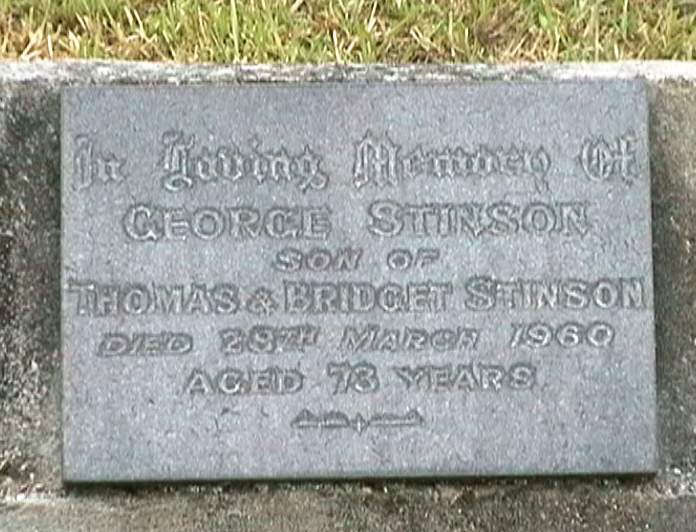 The STINSON family were one of the pioneering families of the area. William and Elizabeth (Taylor) STINSON were both Free Bounty Settlers. After William died at Hexham NSW in 1849, Elizabeth, widow of William, and four of their five children moved to Yarramalong in 1856 due to continuing floods in the Hexham area. Along with long-time friends, Ezekiel WATERS and his family, they were the first settlers in the Valley after John Maximus LETTE (who had arrived c1854.). Elizabeth settled on the bank of the billabong in what is now Stinson's Lane. Hamilton STINSON was listed as holding 114½ acres at Wyong Creek on the 1884/5 list of Hawkesbury Land & Stockholders. Excerpts taken from articles by Max Farley – Wyong Historical Society. Edward STINSON, a schoolteacher, was known in the Valley primarily because of the series of publications he compiled entitled ‘The Pictorial History of the Wyong Shire’, and a long running series of articles in the Wyong Advocate entitled ‘Wyong Flashbacks’. These are of huge value to anyone wanting to learn more of Wyong’s history. Edward’s forebears came to Yarramalong Valley in 1856. He was born in 1912 and lived for the greater part of his life at ‘Hillview’ with his brother, Harry, and died in 1989. They were bachelors. ‘Hillview’ was the family home a few metres down from, and opposite, the entrance to Stinson’s Lane. 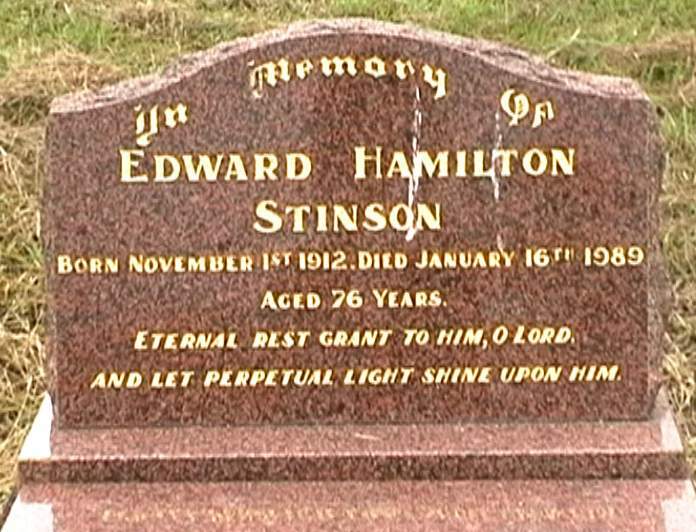 Edward was the grandson of Hamilton and Mary STINSON, and the great grandson of Elizabeth STINSON, one of the original settlers of the Yarramalong Valley. A contributed item in ‘A Pictorial History of the Wyong Shire, Volume 6’, says “his hobbies included reading, writing, listening to vocal music (especially lieder) solving cryptic crossword puzzles, enjoying the company of his many friends and walking in the great world of nature which quite fascinates him”. What was not written was that he also had a great interest in art, so much so that in his will he bequeathed a large amount to the NSW Art Gallery.